In less than a week, Mother's Day will be here! As a mama myself, I can't think of a better way to celebrate this special day than with some homemade treats as sweet all my favorite mothers out there. This week I will be sharing some very special recipes for sweet treats that you can make and share with your favorite mamas and grandmamas this coming weekend. This cake only looks super labor intensive, but it is actually a lot easier to make than you may think. A simple pastry bag and frosting tip only make this cake look like it took hours to frost and decorate. ;) You can even make it easier by skipping a from scratch chocolate cake recipe and just using your favorite boxed chocolate cake mix. And the cookie dough frosting? Easy and crazy amazing. 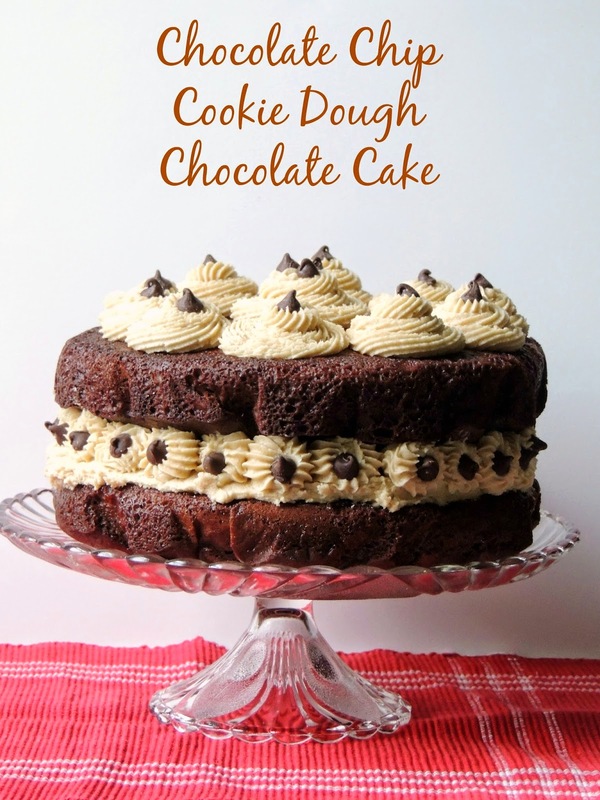 Use your favorite chocolate cake recipe or chocolate cake mix for a two 8-9 inch rounds. 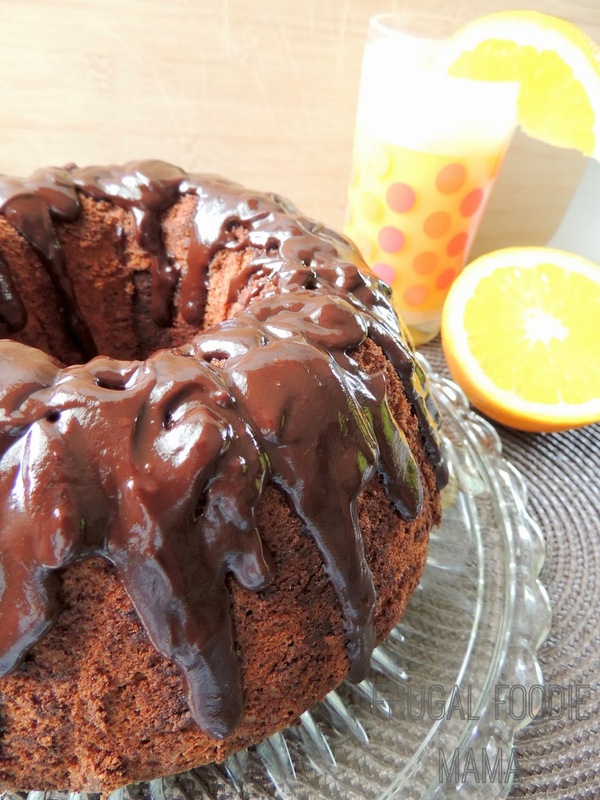 I used this one for Most-Requested Chocolate Cake from Kraft recipes. 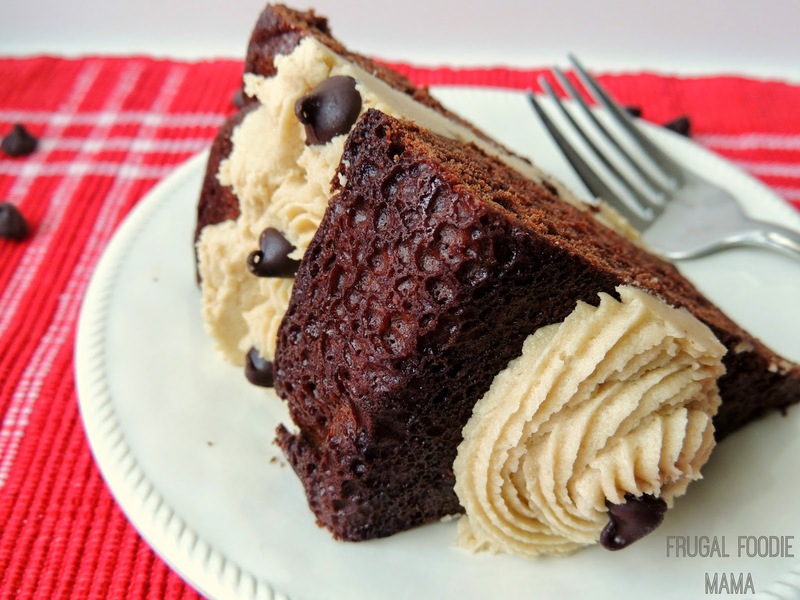 Prepare your cake layers according to the instructions for your favorite chocolate cake recipe or boxed cake mix. Let the two cake rounds cool completely on a wire rack. 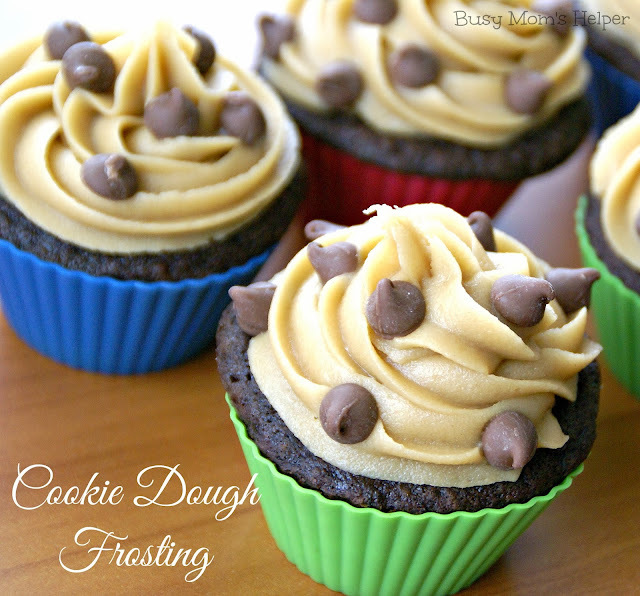 Once cooled, prepare the cookie dough frosting. In a large mixing bowl, cream together the butter and brown sugar until creamy and light in color. Mix in the vanilla. Then slowly beat in the flour and salt on low speed, increasing the speed as the flour becomes incorporated. Add the milk, a tablespoon at a time, until your frosting has reached your desired consistency. You will want the frosting just a little more firm if you plan on piping it on your cake as I did. Spread about 1 1/2 cups of the frosting between your two chocolate cake layers. Sprinkle 1/2 cup of chocolate chips over the frosting, then place the top layer over it. Prettily pipe or spread the frosting on top of the cake. I had a little leftover, so I went around the sides of the cake and piped in more frosting between the two layers. 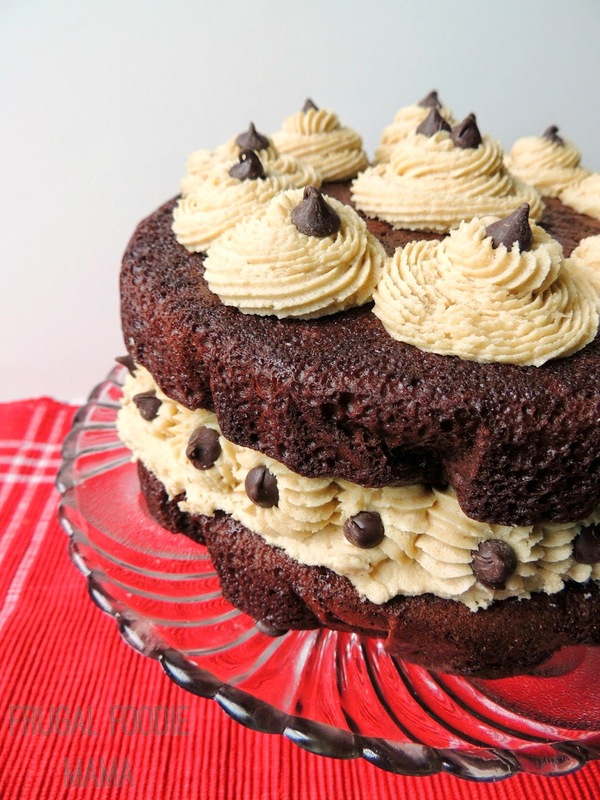 Prettily arrange the remaining chocolate chips on the frosting on the top and sides of the cake. Store any leftovers covered in the fridge. Who will you be baking up this cake for this weekend? Your mama? Your grandma? Yourself (& that is totally okay! )?